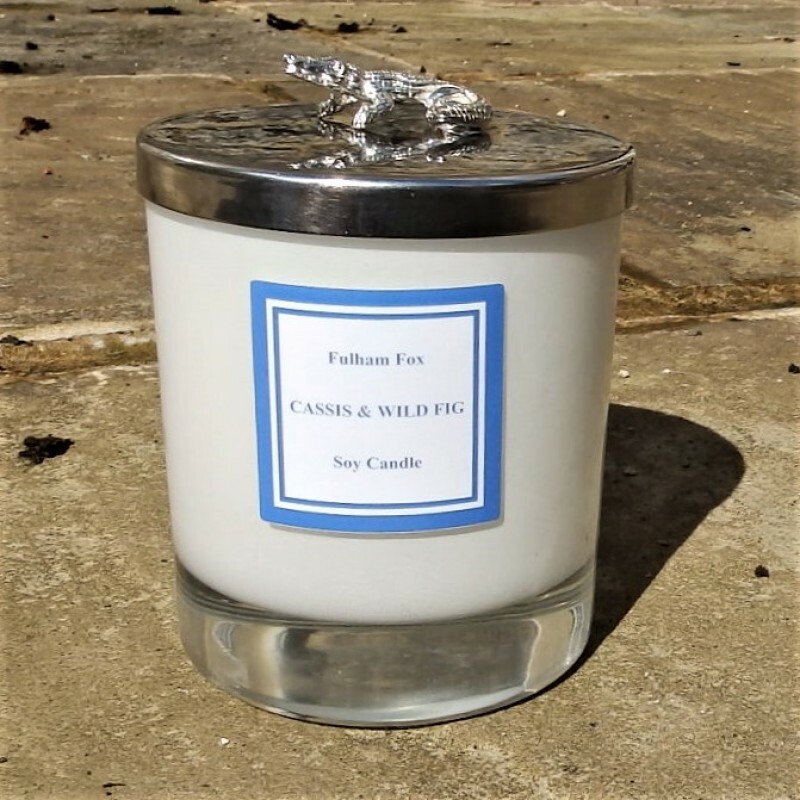 This scented candle combines the fresh fragrances of wild fig and cassis, mixing Mediterranean with English Garden. 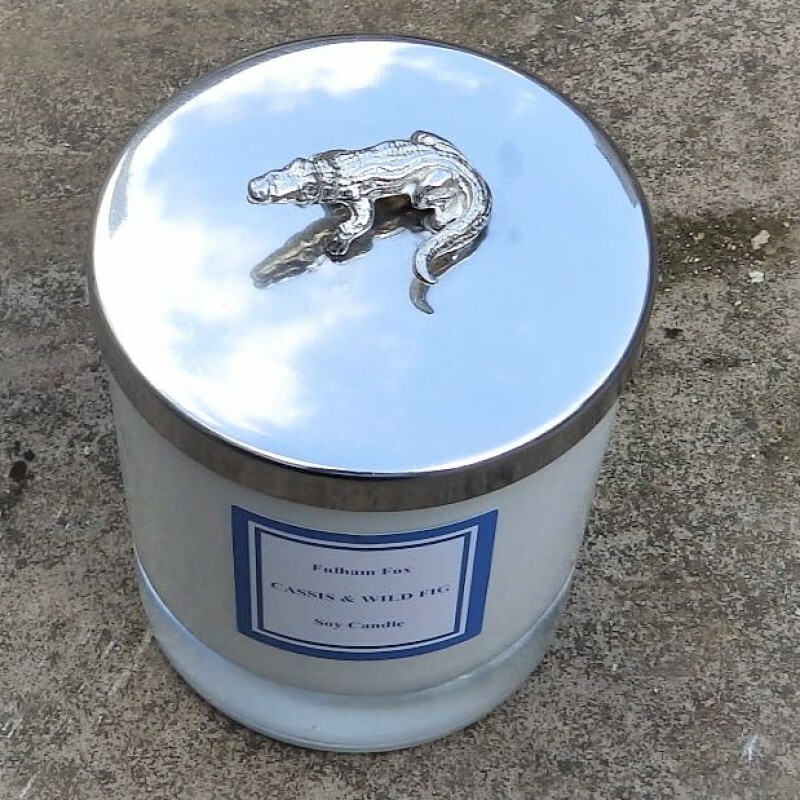 Featuring one of Fulham Fox's trademark silver crocodile designs on the lid. A sophisticated addition to any setting, morphing into a smart storage jar once fully burned.